I’m very, very close to being able to post trade bait again. I just need to update my want lists after a couple recent purchases and then I should be all set. No more trips coming up that I know of. No work crap slowing me down or taking away my nights and weekends. It’ll be nice. I also want to start looking at blog want lists to reach out to you folks a bit too, if I can balance my time well. That means more trade packages coming in hot the second half of the year, I hope. So, I need to give my past trades their due quickly. 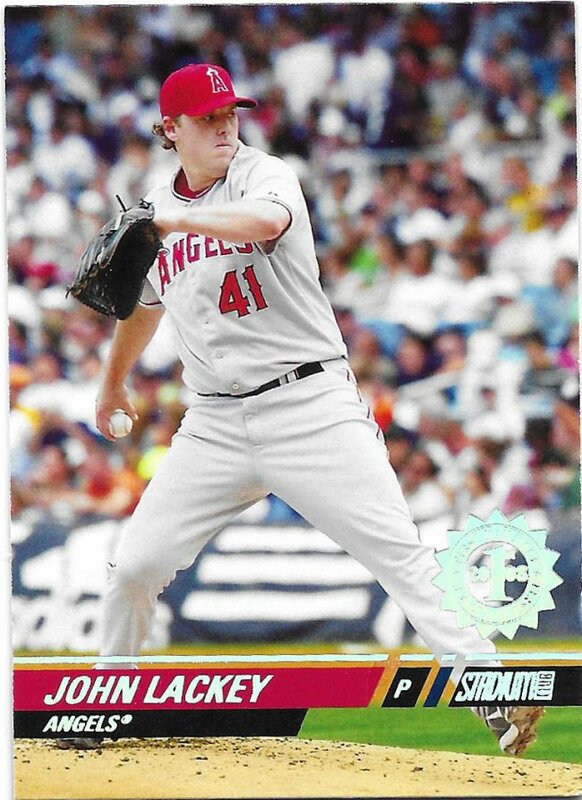 Tom from The Angels, In Order sent me a ton of cards, mostly John Lackey and Gwynns. If you want to review the first part, you can do so here. 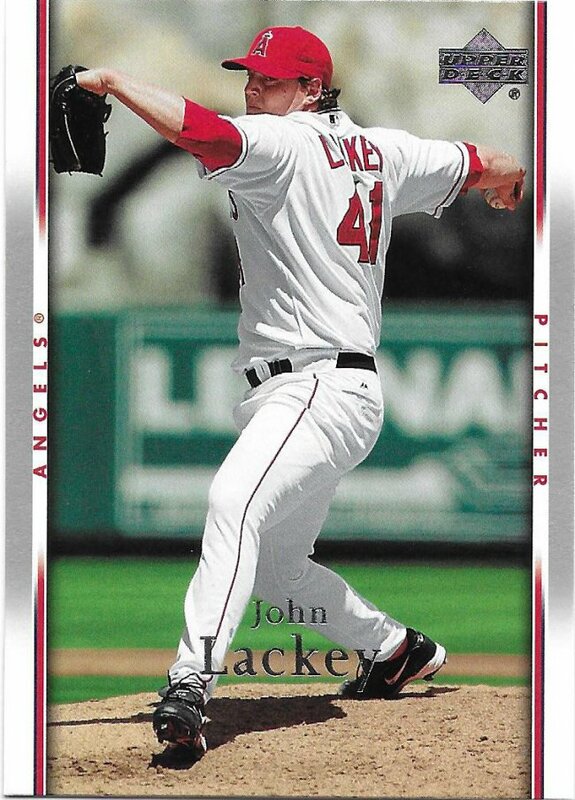 This installment is going to focus on cards from 2007 and 2008, because I still can’t be bothered to do things in order. 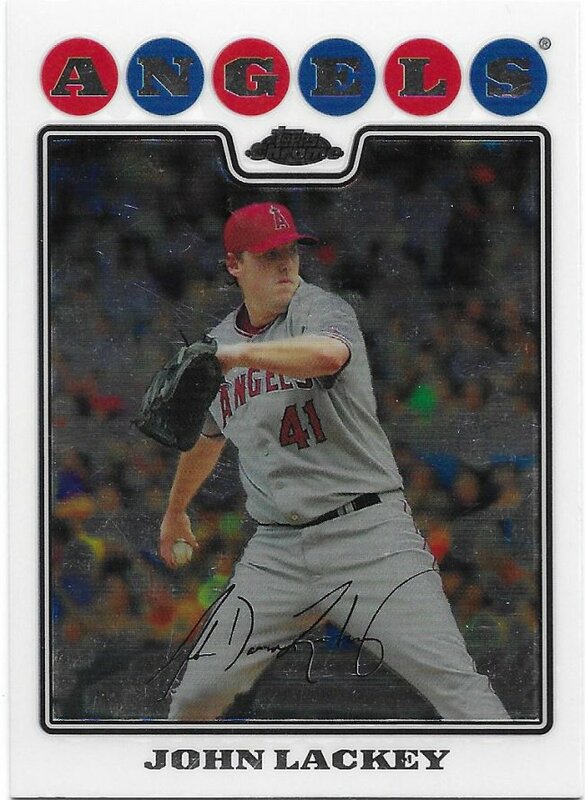 I’m sorry, but old Bowman designs are really boring. 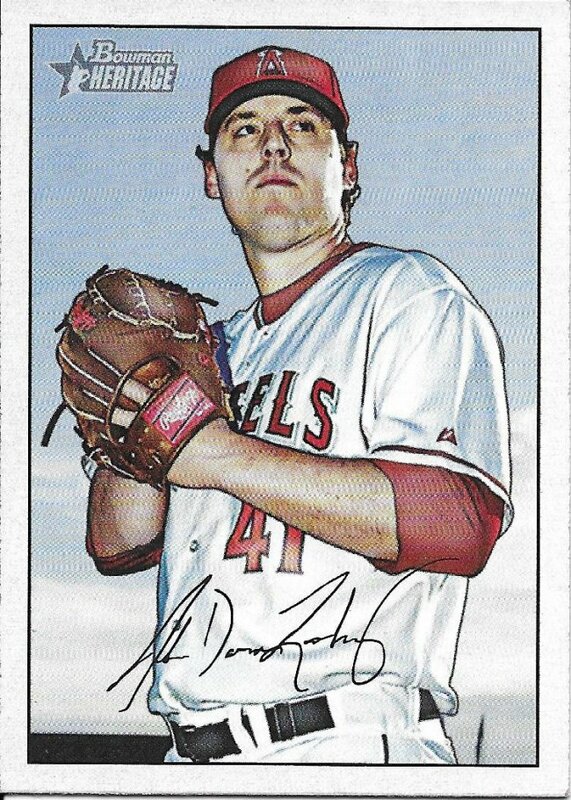 I’d maybe like it more if I were a vintage guy, but also 90% of the appeal would be the age of the card rather than the look. 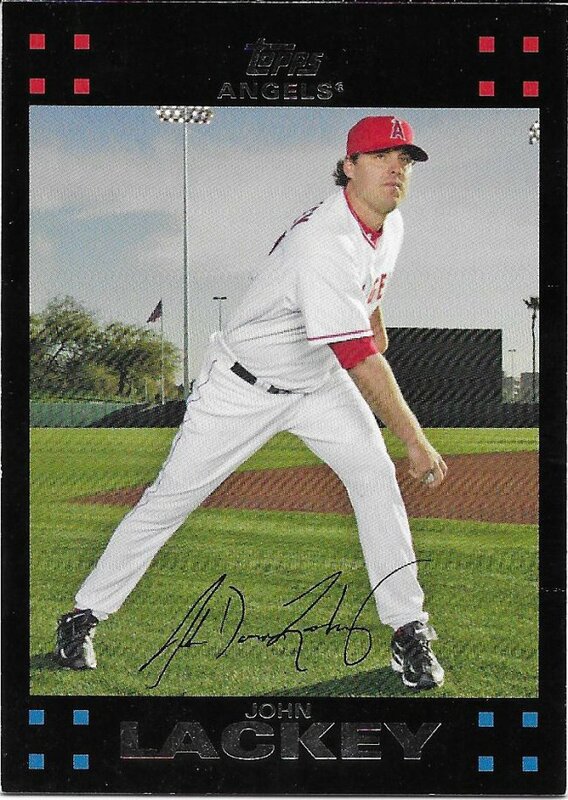 The last year of Fleer was not a very strong one. Here we see Lackey trying to fool his dog by “throwing” the ball. And here he his upset that it didn’t work. 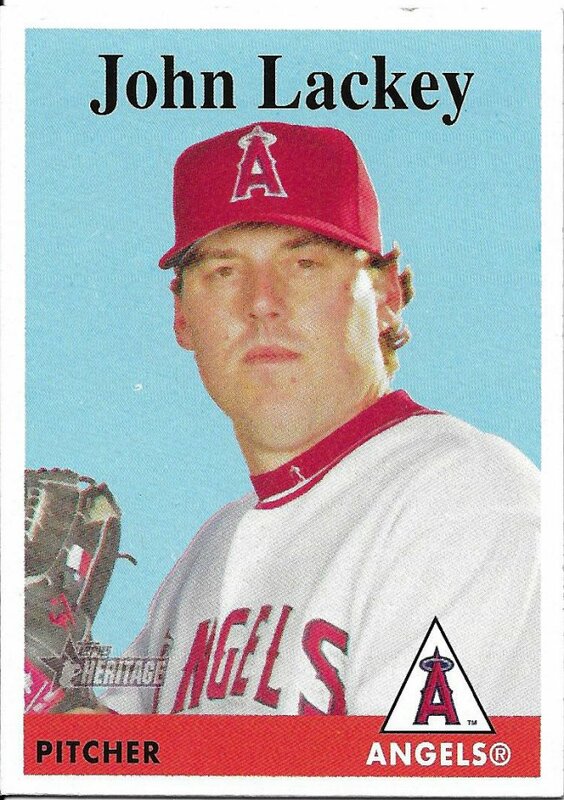 Not every old Topps set was good. There’s bound to be a clunker now and again. Was this the elevator door set? 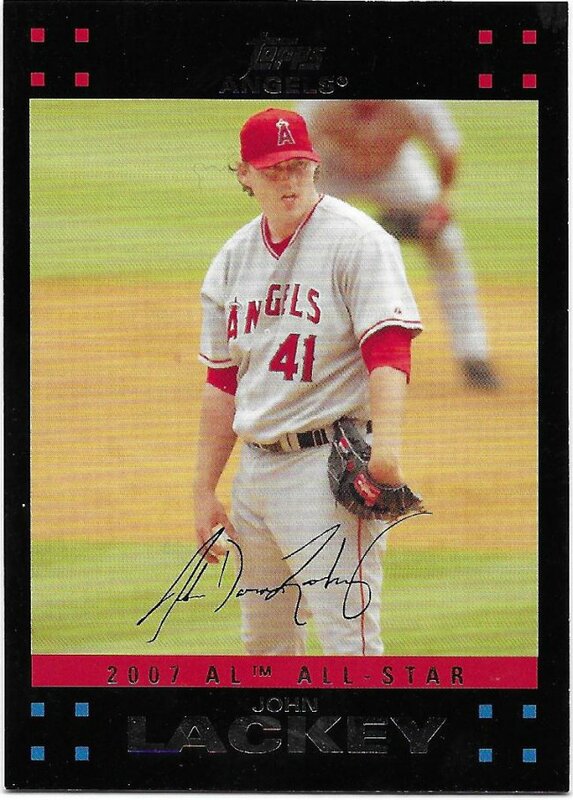 At least 2007 Fleer was better than 2007 Upper Deck. 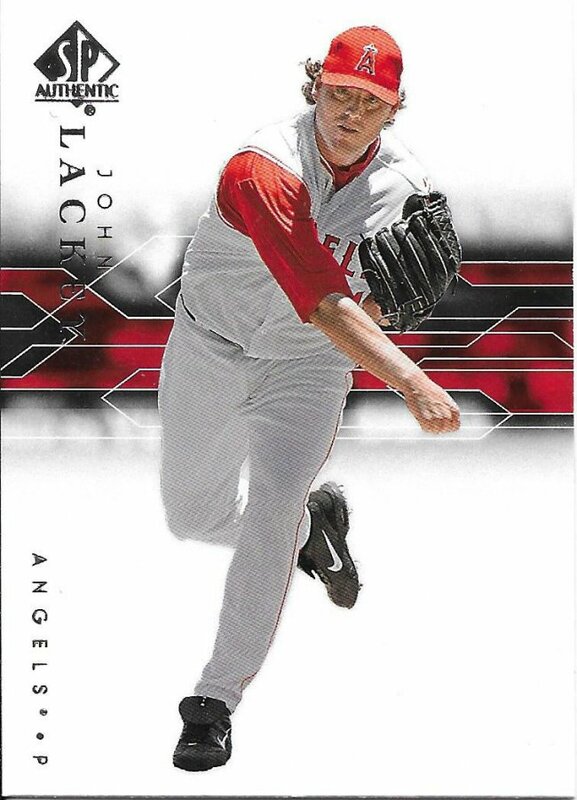 I really wish I understood why SP Authentic was a thing for so long when the cards looked like this. It must have been about the hits. I don’t know how others feel about 2008, but the circus look is growing on me the more I see it. To end of the session, we’ll look at the first reboot of Stadium Club. The one that didn’t go so well. 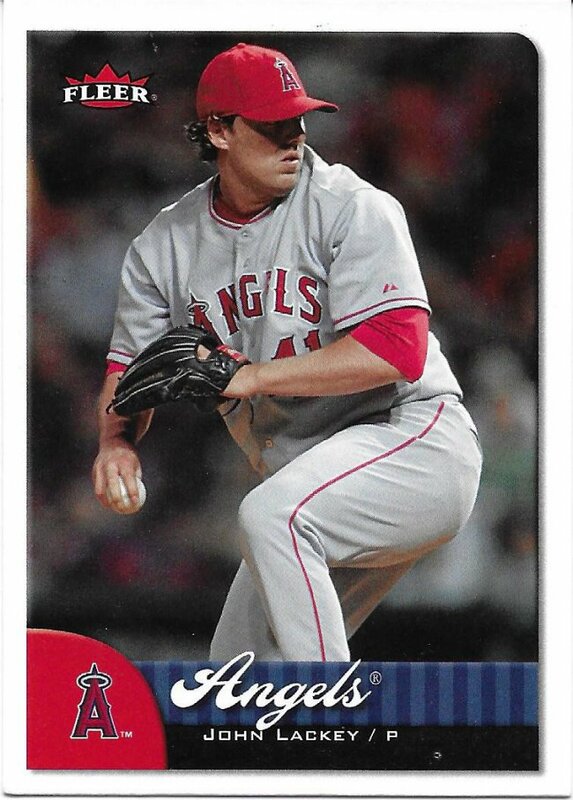 I wasn’t collecting then, but I do know that this is the First Day Issue parallel and that some players saw this as a numbered card, while others (like Lackey), did not. Sounds confusing. I’ll stick with singles through trades with great people like Tom! Thanks again!